In our very first section, we’ll become familiar with the concept of AI by looking into its definition and some examples. As you have probably noticed, AI is currently a “hot topic”: media coverage and public discussion about AI is almost impossible to avoid. However, you may also have noticed that AI means different things to different people. For some, AI is about artificial life-forms that can surpass human intelligence, and for others, almost any data processing technology can be called AI. To set the scene, so to speak, we’ll discuss what AI is, how it can be defined, and what other fields or technologies are closely related. 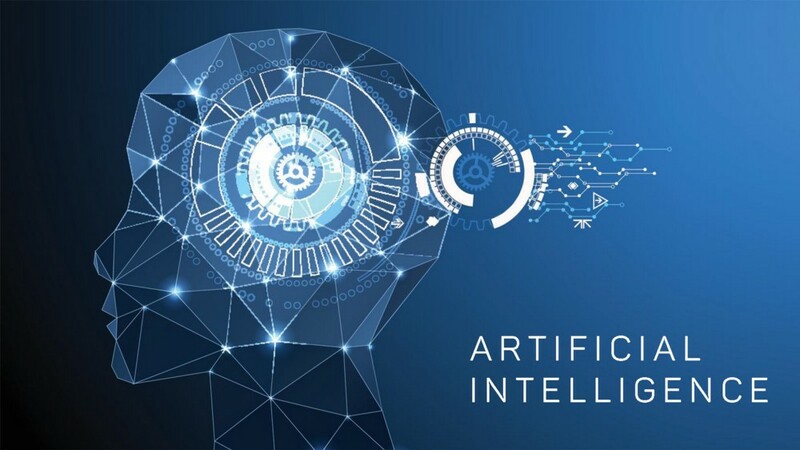 Before we do so, however, we’ll highlight three applications of AI that illustrate different aspects of AI. 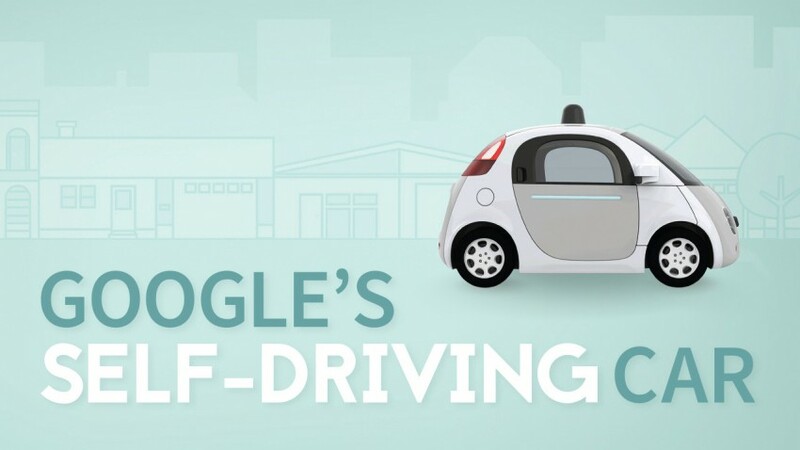 Self-driving cars require a combination of AI techniques of many kinds: search and planning to find the most convenient route from A to B, computer vision to identify obstacles, and decision making under uncertainty to cope with the complex and dynamic environment. Each of these must work with almost flawless precision in order to avoid accidents. The same technologies are also used in other autonomous systems such as delivery robots, flying drones, and autonomous ships. Implications: road safety should eventually improve as the reliability of the systems surpasses human level. The efficiency of logistics chains when moving goods should improve. Humans move into a supervisory role, keeping an eye on what’s going on while machines take care of the driving. Since transportation is such a crucial element in our daily life, it is likely that there are also some implications that we haven’t even thought about yet. A lot of the information that we encounter in the article of a typical day is personalized. Examples include Facebook, Twitter, Instagram, and other social media content; online advertisements; music recommendations on Spotify; movie recommendations on Netflix, HBO, and other streaming services. Many online publishers such as newspapers’ and broadcasting companies’ websites as well as search engines such as Google also personalize the content they offer. While the front-page of the printed version of the New York Times or China Daily is the same for all readers, the front-page of the online version is different for each user. The algorithms that determine the content that you see are based on AI. Implications: While many companies don’t want to reveal the details of their algorithms, being aware of the basic principles helps you understand the potential implications: these involve so called filter bubbles, echo-chambers, troll factories, fake news, and new forms of propaganda. Face recognition is already a commodity used in many customer, business, and government applications such as organizing your photos according to people, automatic tagging on social media, and passport control. Similar techniques can be used to recognize other cars and obstacles around an autonomous car, or to estimate wild-life populations, just to name a few examples. AI can also be used to generate or alter visual content. Examples already in use today include style transfer, by which you can adapt your personal photos to look like they were painted by Vincent van Gogh, and computer generated characters in motion pictures such as Avatar, the Lord of the Rings, and popular Pixar animations where the animated characters replicate gestures made by real human actors. When such techniques advance and become more widely available, it will be easy to create natural looking fake videos of events that are impossible to distinguish from real footage. This challenges the notion that “seeing is believing”. What is, and what isn’t AI? Not an easy question! The popularity of AI in the media is in part due to the fact that people have started using the term when they refer to things that used to be called by other names. You can see almost anything from statistics and business analytics to manually encoded if-then rules called AI. Why is this so? Why is the public perception of AI so nebulous? Let’s look at a few reasons. Even AI researchers have no exact definition of AI. The field is rather being constantly redefined when some topics are classified as non-AI, and new topics emerge. There´s an old (geeky) joke that AI is defined as “cool things that computers can’t do.” The irony is that under this definition, AI can never make any progress: as soon as we find a way to do something cool with a computer, it stops being an AI problem. However, there is an element of truth in this definition. Fifty years ago, for instance, automatic methods for search and planning were considered to belong to the domain of AI. Nowadays such methods are taught to every computer science student. Similarly, certain methods for processing uncertain information are becoming so well understood that they are likely to be moved from AI to statistics or probability very soon. The confusion about the meaning of AI is made worse by the visions of AI present in various literary and cinematic works of science fiction. Science fiction stories often feature friendly humanoid servants that provide overly-detailed factoids or witty dialogue, but can sometimes follow the steps of Pinocchio and start to wonder if they can become human. Another class of humanoid beings in sci-fi espouse sinister motives and turn against their masters in the vein of old tales of sorcerers’ apprentices, going back to the Golem of Prague and beyond. Often the robothood of such creatures is only a thin veneer on top of a very humanlike agent, which is understandable as most fiction — even science fiction — needs to be relatable by human readers who would otherwise be alienated by intelligence that is too different and strange. Most science fiction is thus best read as metaphor for the current human condition, and robots could be seen as stand-ins for repressed sections of society, or perhaps our search for the meaning of life. Another source of difficulty in understanding AI is that it is hard to know which tasks are easy and which ones are hard. Look around and pick up an object in your hand, then think about what you did: you used your eyes to scan your surroundings, figured out where are some suitable objects for picking up, chose one of them and planned a trajectory for your hand to reach that one, then moved your hand by contracting various muscles in sequence and managed to squeeze the object with just the right amount of force to keep it between your fingers. It can be hard to appreciate how complicated all this is, but sometimes it becomes visible when something goes wrong: the object you pick is much heavier or lighter than you expected, or someone else opens a door just as you are reaching for the handle, and then you can find yourself seriously out of balance. Usually this kind of tasks feel effortless, but that feeling belies millions of years of evolution and several years of childhood practice. While easy for you, grasping objects by a robot is extremely hard, and it is an area of active study. Recent examples include Google’s robotic grasping project, and a cauliflower picking robot. By contrast, the tasks of playing chess and solving mathematical exercises can seem to be very difficult, requiring years of practice to master and involving our “higher faculties” and concentrated conscious thought. No wonder that some initial AI research concentrated on this kind of tasks, and it may have seemed at the time that this kind of tasks are the essence of intelligence. It has since turned out that playing chess is very well suited to computers, which can follow fairly simple rules and compute many alternative move sequences at a rate of billions of computations a second. Computers beat the reigning human world champion in chess in the famous Deep Blue vs Kasparov matches in 1997. Could you have imagined that the harder problem turned out to be grabbing the pieces and moving them on the board without knocking it over! Similarly, while in-depth mastery of mathematics requires (what seems like) human intuition and ingenuity, many (but not all) exercises of a typical high-school or college course can be solved by applying a calculator and simple set of rules.. When defining and talking about AI we have to be cautious as many of the words that we use can be quite misleading. Common examples are learning, understanding, and intelligence. You may well say, for example, that a system is intelligent, perhaps because it delivers accurate navigation instructions or detects signs of melanoma in photographs of skin lesions. When we hear something like this, the word “intelligent” easily suggests that the system is capable of performing any task that an intelligent person would be able to perform: going to the grocery store and cooking dinner, washing and folding laundry, and so on. Likewise, when we say that a computer vision system understands images because it is able to segment an image into distinct objects such as other cars, pedestrians, buildings, the road, and so on, the word “understand” easily suggest that the system also understands that even if a person is wearing a t-shirt that has a photo of a road printed on it, it is not okay to drive on that road (and over the person). In both of the above cases, we’d be wrong. It is important to realize that intelligence is not a single dimension like temperature. You can compare today’s temperature to yesterday’s, or the temperature in Helsinki to that in Rome, and tell which one is higher and which is lower. We even have a tendency to think that it is possible to rank people with respect to their intelligence — that’s what the intelligence quotient (IQ) is supposed to do. However, in the context of AI, it is obvious that different AI systems cannot be compared on a single axis or dimension in terms of their intelligence. Is a chess-playing algorithm more intelligent than a spam filter, or is a music recommendation system more intelligent than a self-driving car? These questions make no sense. This is because artificial intelligence is narrow (we’ll return to the meaning of narrow AI at the end of this Chapter): being able to solve one problem tells us nothing about the ability of solve another, different problem. The classification into AI vs non-AI is not a clear yes–no dichotomy: while some methods are clearly AI and other are clearly not AI, there are also methods that involve a pinch of AI, like a pinch of salt. Thus it would sometimes be more appropriate to talk about the “AIness” (as in happiness or awesomeness) rather than arguing whether something is AI or not. Despite our discouragement, the use of AI as a countable noun is common. Take for instance, the headline Data from wearables helped teach an AI to spot signs of diabetes, which is otherwise a pretty good headline since it emphasizes the importance of data and makes it clear that the system can only detect signs of diabetes rather than making diagnoses and treatment decisions. And you should definitely never ever say anything like Google’s artificial intelligence built an AI that outperforms any made by humans, which is one of the all-time most misleading AI headlines we’ve ever seen (note that the headline is not by Google Research). The use of AI as a countable noun is of course not a big deal if what is being said otherwise makes sense, but if you’d like to talk like a pro, avoid saying “an AI”, and instead say “an AI method”. In addition to AI, there are several other closely related topics that are good to know at least by name. These include machine learning, data science, and deep learning. Systems that improve their performance in a given task with more and more experience or data. Data science is a recent umbrella term (term that covers several subdisciplines) that includes machine learning and statistics, certain aspects of computer science including algorithms, data storage, and web application development. Data science is also a practical discipline that requires understanding of the domain in which it is applied in, for example, business or science: its purpose (what “added value” means), basic assumptions, and constraints. Data science solutions often involve at least a pinch of AI (but usually not as much as one would expect from the headlines). Many of the robotics-related AI problems are best approached by machine learning, which makes machine learning a central branch of AI for robotics. Hopefully you were able to follow along and get the application working. If you are looking for resources on Artificial Intelligence, look at the interactive & challenge based courses: Machine Learning Course.